Kombucha is a refreshing, carbonated beverage made by fermenting sweet tea with a starter culture or "SCOBY". Making your own kombucha is inexpensive, easy, creative, and fun, with a time commitment of less than an hour per week. This fizzy fermented drink is filled with probiotics and live enzymes! An awesome addition to your fermented food repertoire and a healthy alternative for carbonated cravings! In this workshop, learn how to brew, ferment, and bottle this delicious drink. 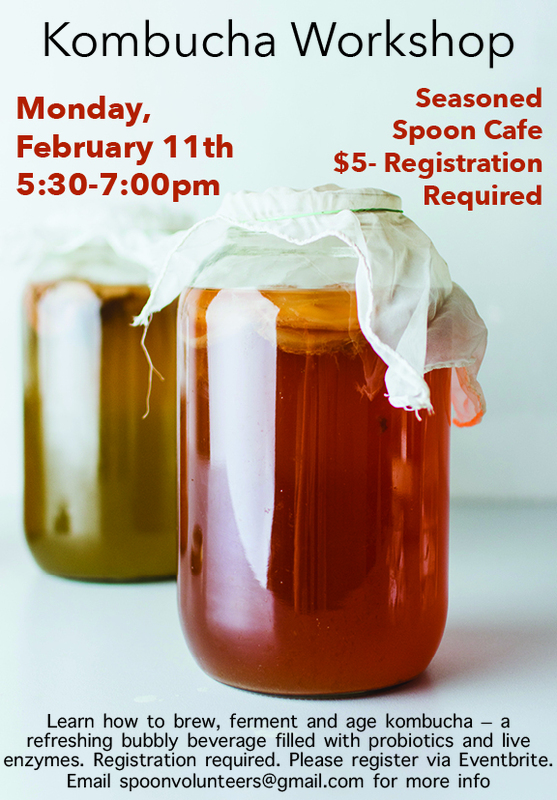 Participants will have the opportunity to see various stages of kombucha production as well as do some sampling. SCOBYs will also be available for purchase, so you can begin your own home fermented kombucha creations! $5.00. Registration Required. Please visit our Facebook page for more details on how to register.